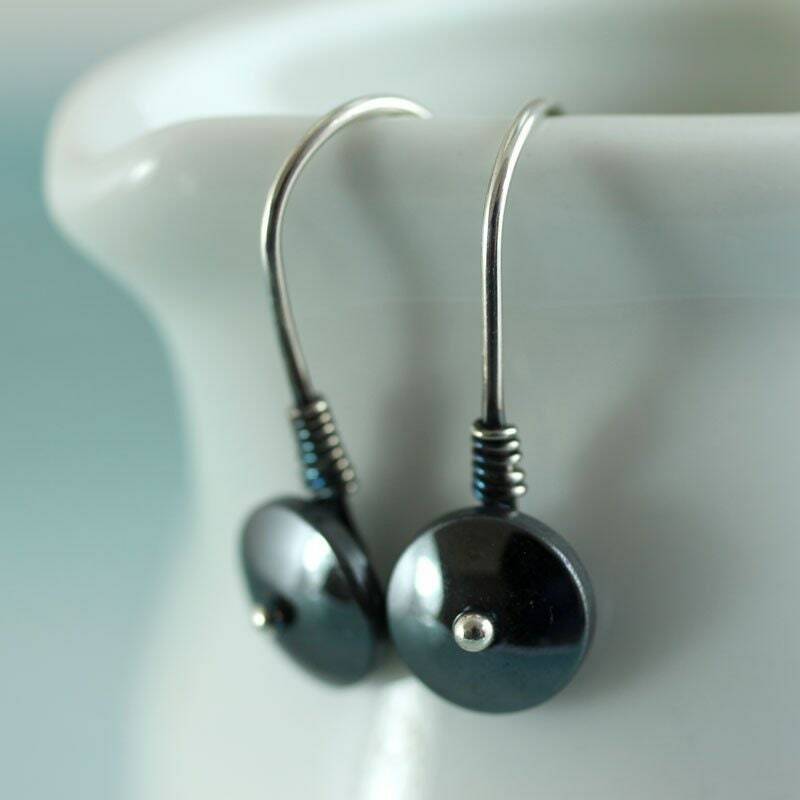 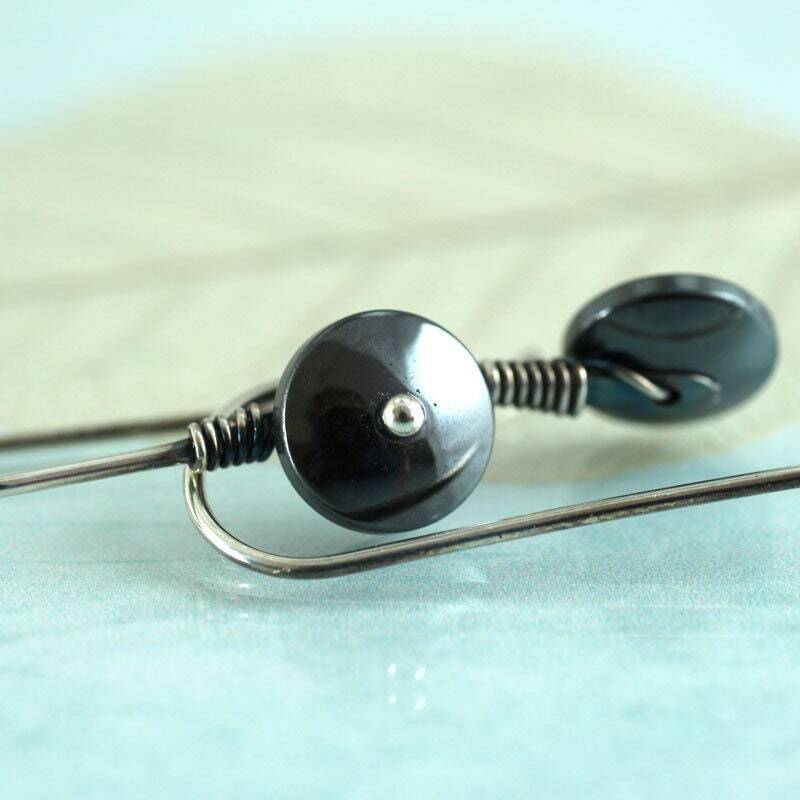 Gothic and sleek earrings. 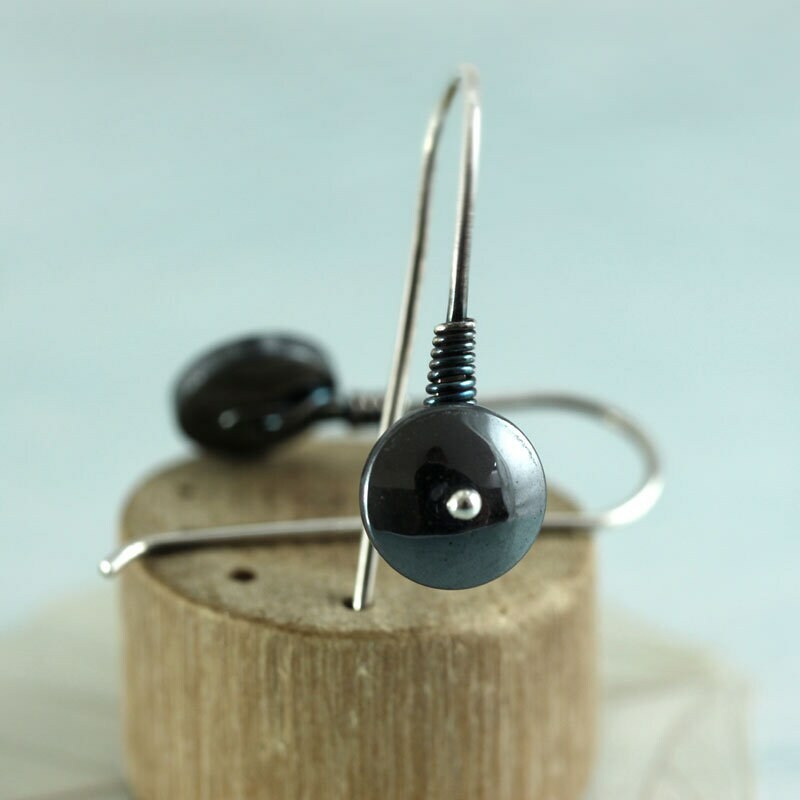 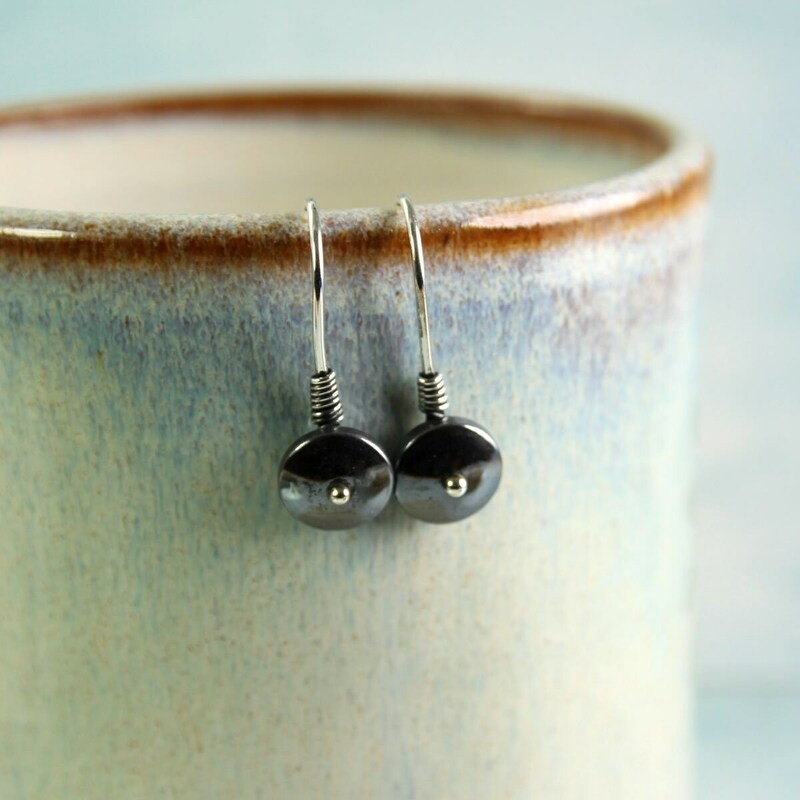 The stones are haematite also known as bloodstone. 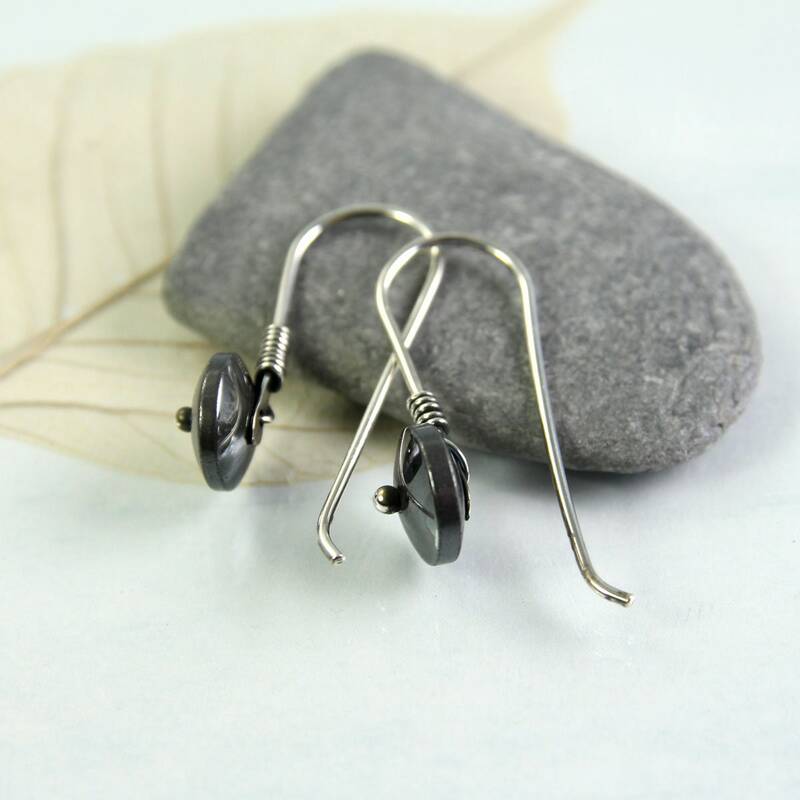 Cut in a sharp wheel rondelle shape and put together with bright silver with a wire wrapped "rivet" look. 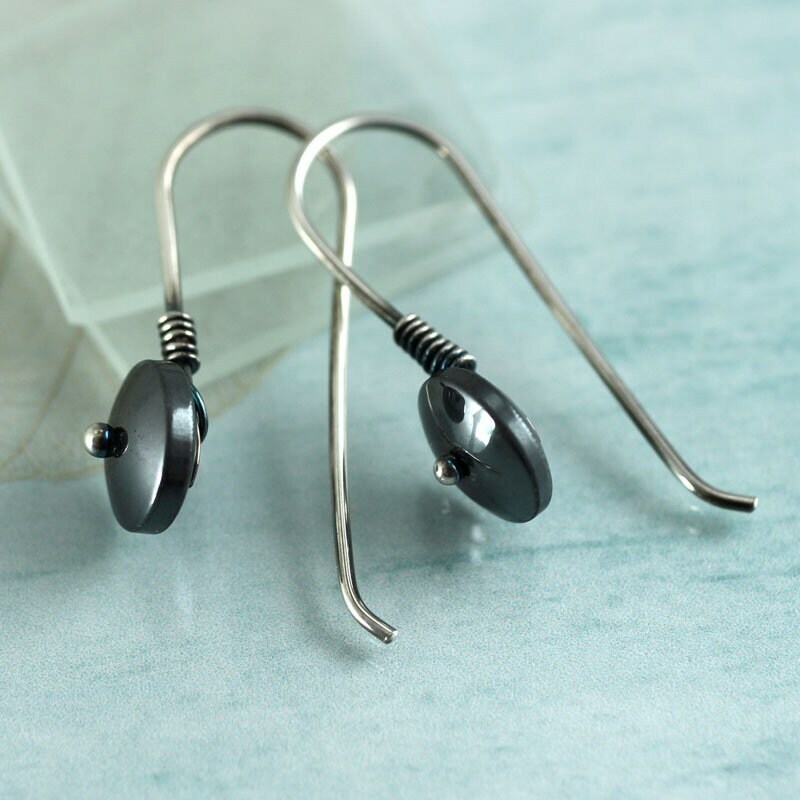 Stark and minimalist - they work beautifully with a formal outfit.. 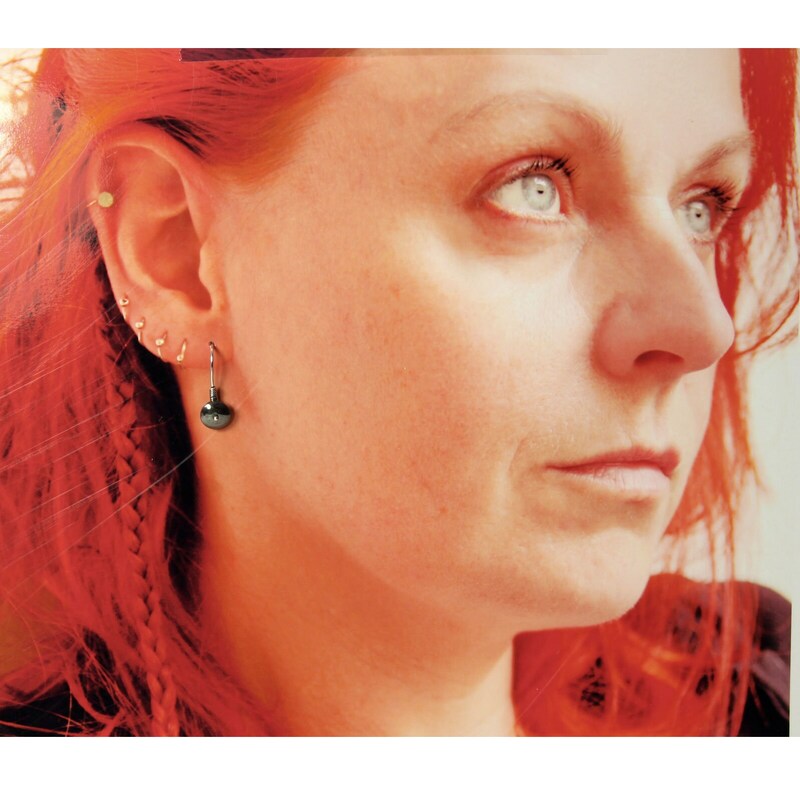 The earrings are about 24 mm long and the beads have a diameter of 10 mm.